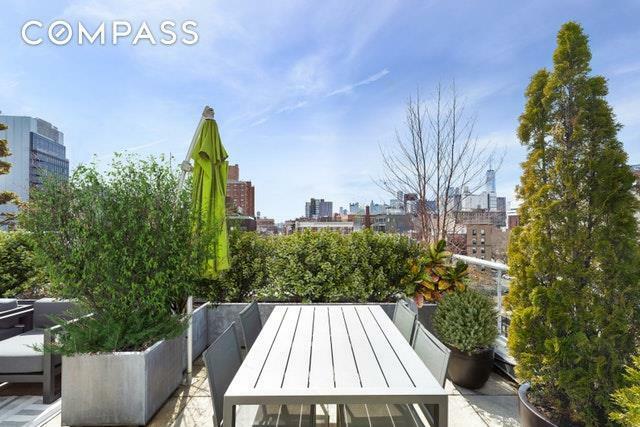 Welcome home to Penthouse S, a sun-blasted, southern facing condominium occupying the top two floors of 62 East 1st Street. 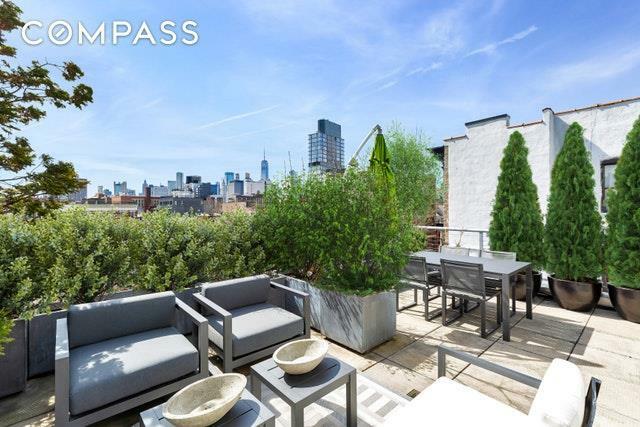 Perfectly situated at the crossroads of the East Village, Noho, Nolita and the Lower East Side, Penthouse S offers one of a kind indoor and outdoor living in one of the coolest downtown locations. Defining features of this one-of-a-kind penthouse include unobstructed, protected southern frontage over First Park, uncompromised natural light, skyline views of The Freedom Tower and a sliver of the Manhattan Bridge. Totaling 2,116 square feet, Penthouse S offers 1,511 square feet of interior living and 605 square feet of outdoor space spread across a south facing balcony and a super rare, private rooftop terrace with dramatic views and complete privacy. Five skylights, two bedrooms, two full bathrooms, a flexible 3rd bedroom or windowed home office and a thoughtfully designed floor plan make this 23 foot wide penthouse an outdoor lovers paradise. The homes main level is the ideal entertaining space with each room opening up to the next. The generously sized and skylit kitchen features Burma teak cabinetry, matte black granite countertops, a high-end appliance package and a large breakfast bar. Beyond the kitchen is a skylit dining area and a beautifully framed living room, which is bathed in southern light and features a step out balcony with incredibly unexpected views. The homes second bedroom, windowed home office or third bedroom, second full bath and in unit washer/dryer are also on this level, as are five distinct closets; one of which is a massive walk-in. Up the double height staircase which has a dramatic south facing picture window, is the master suite which encompasses the entire upper level of the penthouse. On this floor are three large closets, a skylit master bathroom with double sinks and a large walk in shower, a wall of south facing windows and a bedroom large enough for a king size bed, a sitting area and additional furniture. Through a large door from the master suite is perhaps the penthouses best amenity: a supremely private and fully irrigated wrap terrace with multiple seating areas, tons of space to entertain; and quite honestly one of the best downtown views you can find from the top of a six story building. Penthouse S is not only a dramatic, one of a kind property; it is also a highly practical floor plan with generous square footage and versatile layout options. 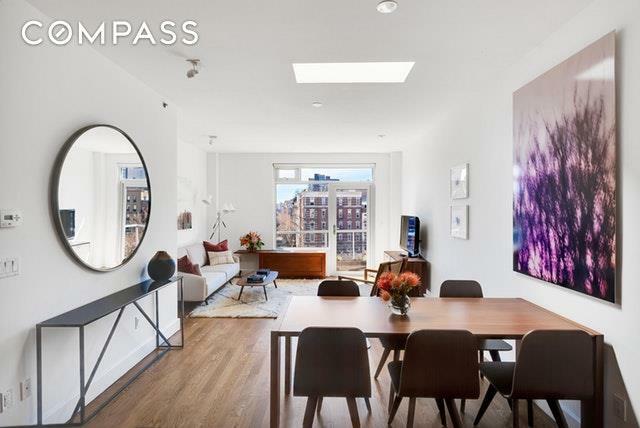 62 East 1st Street is a boutique 10-unit condominium offering residents a virtual doorman and a dedicated package room. 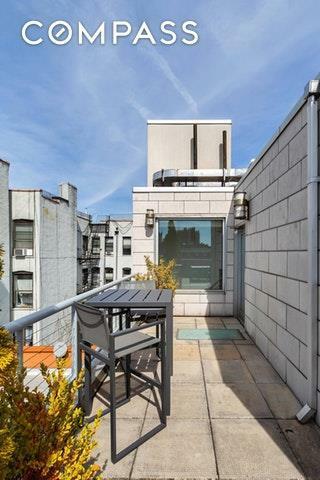 The building is ideally located steps from Noho, Soho, Nolita, the Lower East Side and the East Village, offering the best of downtown living in a truly central location. Listing courtesy of Todd Lewin of Compass.